Stage 4was clearly another brutal test for both rider and machine. Now continually at altitudes above 3500 meters, riders had to tackle 521 km on the bike, including an energy robbing 416 km timed special. 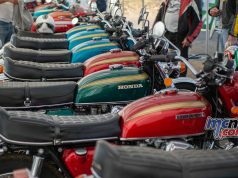 The field, which started the day with 126 of the original 146 riders still in the race, had the new experience of negotiating sand dunes at altitude. 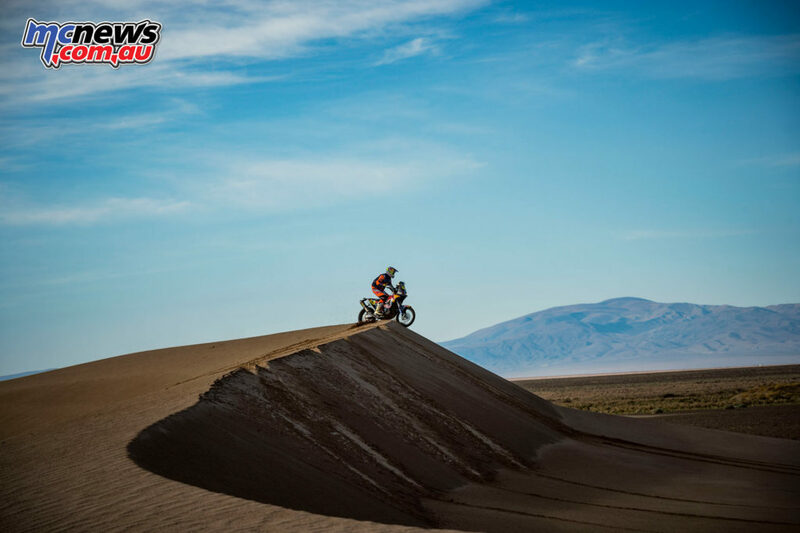 In previous editions of the South American Dakar they have encountered dunes in Chile’s legendary coastal Atacama Desert. 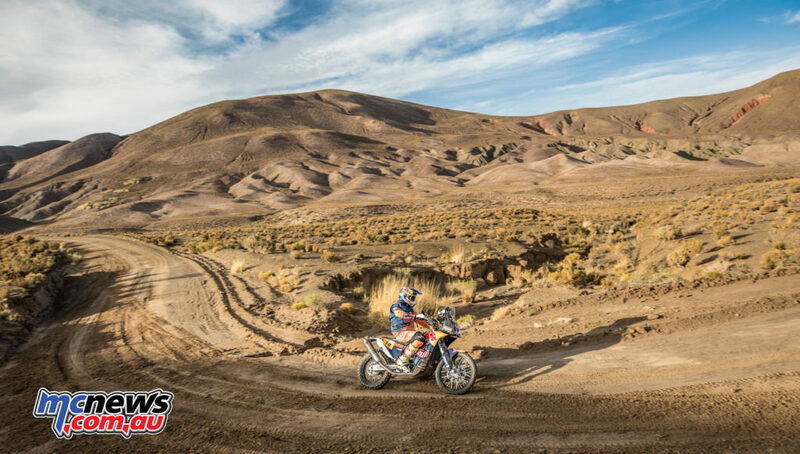 Joan Barreda pulled off another stunning ride as the 2017 Rally Dakar crosses into Bolivia. 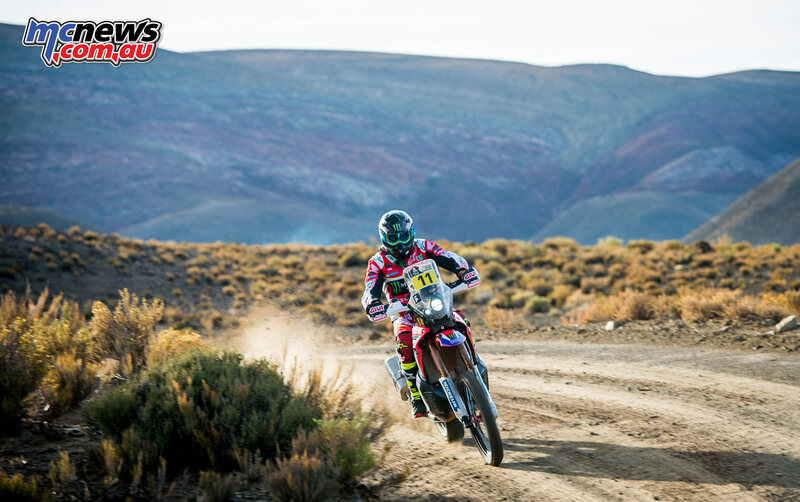 The Monster Energy Honda Team rider battled hard throughout the whole stage – not an easy task considering that he was opening the track. The 416 kilometre special subjected the competitors to the first dunes seen so far in the rally, requiring some serious focus and deft navigation skills. 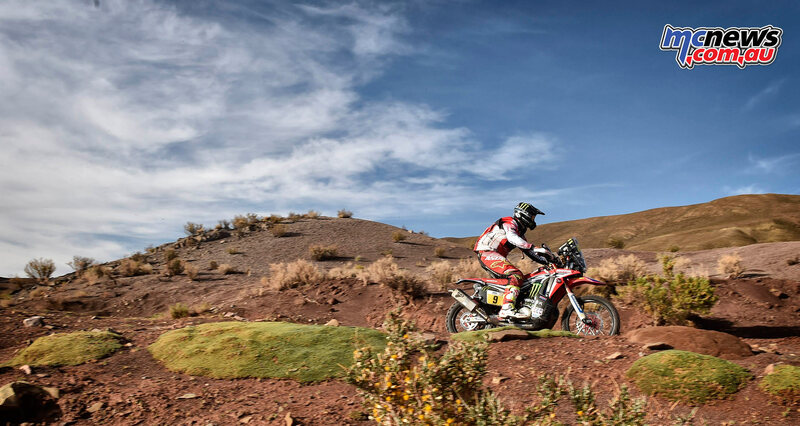 Toby Price, who won the second stage but then lost time at the beginning of Wednesday’s Stage 3 after a navigational error, crashed in a riverbed at the 371 km mark. 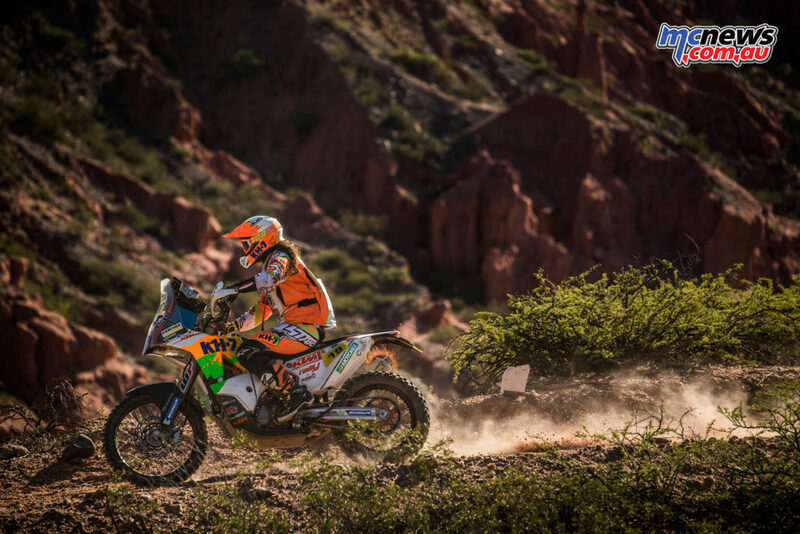 The medical team reported he had fractured the thighbone in his left leg when he was only a few kilometers from Tupiza in southern Bolivia, where the stage finished. The factory team later confirmed Price was being transported to the capital La Paz for further treatment. Unfortunately this puts an end to his 2017 Dakar attempt. Fellow Aussie Todd Smith posted a great result, with 13th for Stage 4 – an incredibly strong showing, as the highest ranking Australian rider, while Mathew Hart finished 52nd, having ridden with a shoulder injury incurred in Stage 3. Many riders went astray and dropped time, while Barreda took the opportunity to tighten the screw, going full throttle on the Honda CRF450 Rally to put yet more ground between himself and adversaries. From CP2 onwards, the Spaniard led until race-end in Bolivia where the terrain was more precipitous with rocks galore and river-crossings to boot. Joan chose to play it safe in the latter part of the stage, which saw him concede time, and eventually the stage victory to Matthias Walkner. 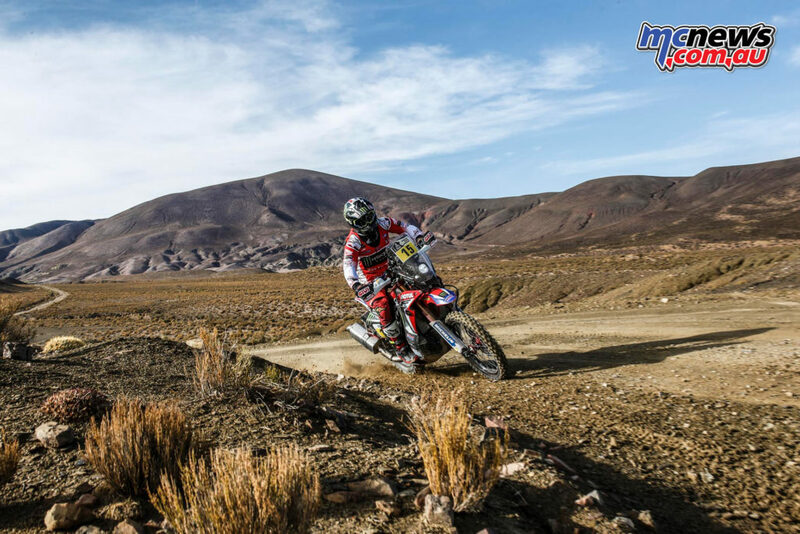 Runner-up spot on the day proved to be a positive for Barreda as he widens the gap at the top of the leaderboard boasting 18’19” over Chilean rider Pablo Quintanilla. Monster Energy Honda Team rounded out a red-letter day with Michael Metge posting a virtual podium place. 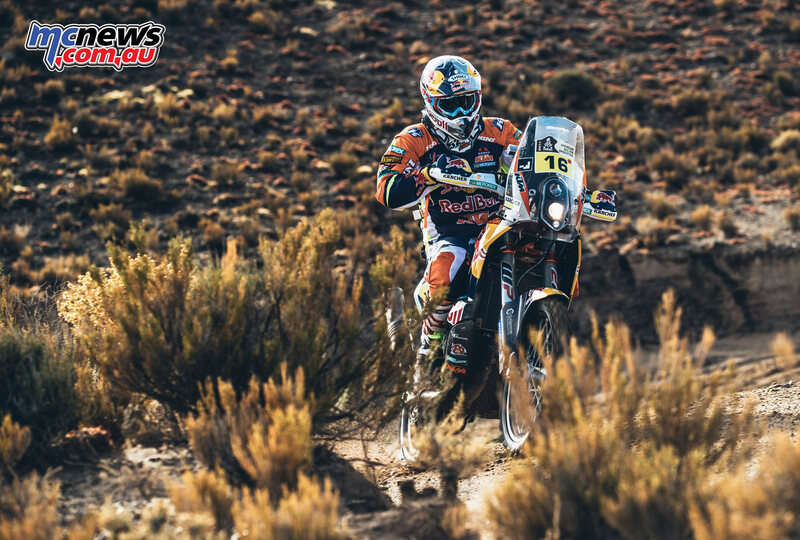 The Frenchman was outstanding in the fourth stage, setting a cracking pace and executing near-perfect navigation. 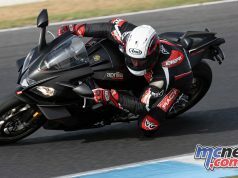 This allowed ‘Mika’ to whittle down some of the time lost in the previous stage and improve in the general rankings. 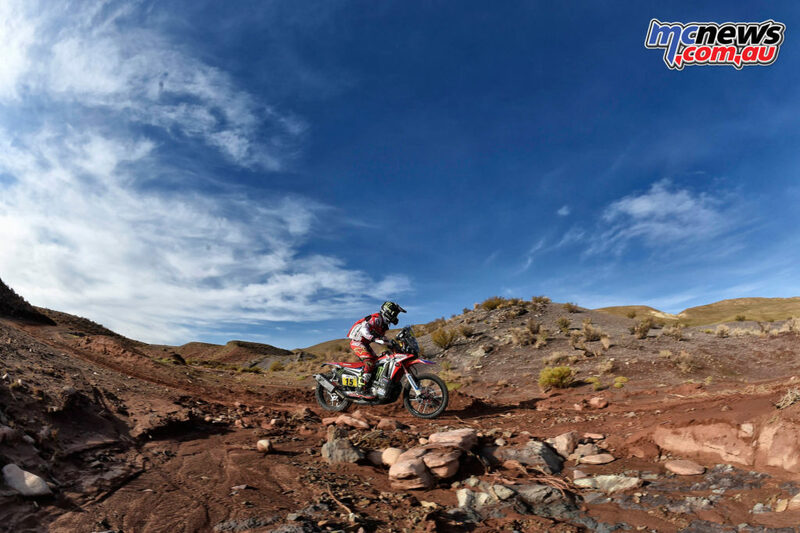 He had been one of the riders to lose out yesterday as race organizers failed to consider the time that some riders had needed to complete the liaison section after getting trapped in a storm on the ascent towards Jujuy. 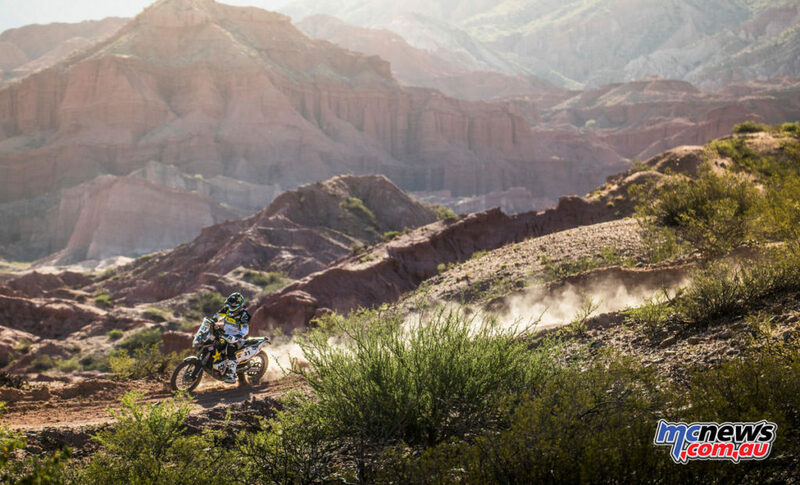 Leading Husqvarna mounted rider Pablo Quintanilla said it had been a tough day in high altitude, and tackling the soft dunes in Bolivia. Quintanilla finishes Stage 4 in second position overall. Pela Renet followed up on his third place finish in Wednesday’s stage three with another confidence boosting ride to finish eighth. He finished 12.30 minutes behind stage winner Matthias Walkner of Austria. Ricky Brabec ran into some problems at the start of the special. The American dropped precious time going in search of the correct route. Once back on track, he made it safe back to the Tupiza bivouac without further hitches. Likewise, Paulo Goncalves got delayed near the start and conceded time. Subsequently, with the end of the stage in sight, the Portuguese rider came across an injured Toby Price on the ground. Goncalves halted to alert the helicopter to the plight of the Australian who had suffered a broken right femur. 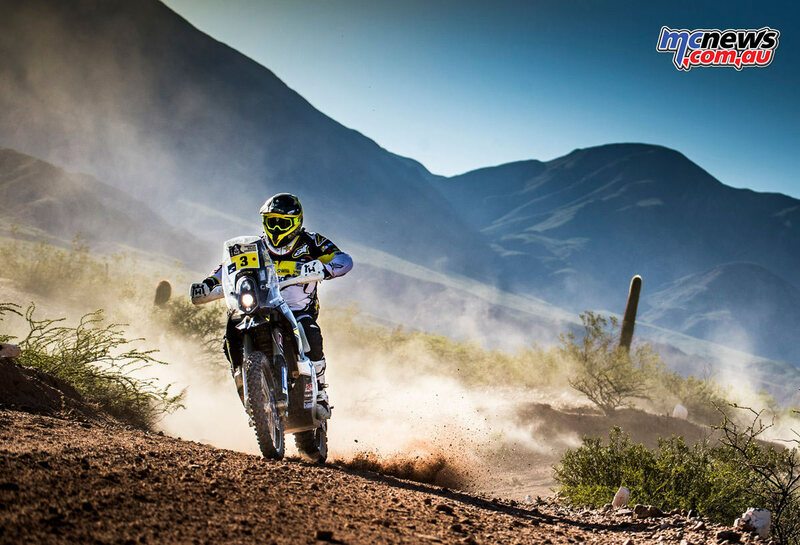 Once last year’s champion had been attended to, Paulo was back en route for the Dakar’s first stopover in Bolivia. 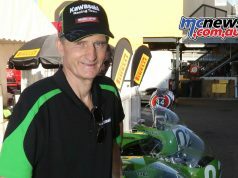 Sunderland was disappointed to have lost time at the beginning of the stage and finished in 12th.